One of the most common testing techniques you’ll see in the wild is the use of test doubles, also known as “mocking.” We take a close look at this advanced technique. It’s seductive and easily abused. We rebuild one of our tests using mocks so you can understand the concept... and see what to avoid. been better than a teacher, a true mentor. This is a gold mine... This will help a lot in my day job. team tremendously here at Sevenly. candid way you think aloud makes it personal and engaging. You’ve done a terrific job. I’m James Shore. I’ve been building applications using test-driven development and other Agile techniques for over 15 years. I’m a recipient of the Agile Alliance’s Gordon Pask Award for Contributions to Agile Practice and I wrote a book called The Art of Agile Development . 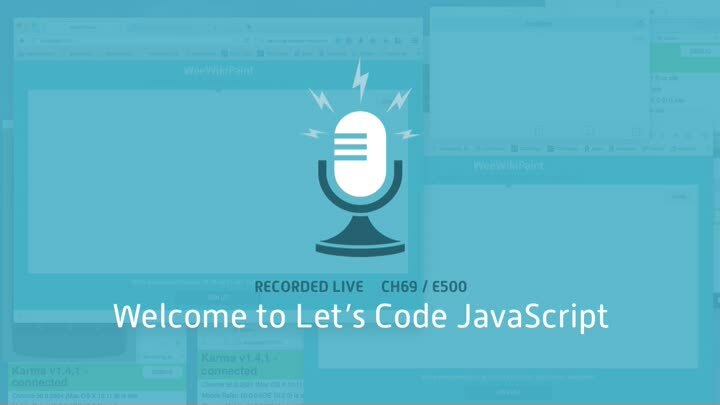 This screencast series focuses on rigorous, professional web development. That means test-driven development, of course, and also techniques such as build automation, continuous integration, refactoring, and evolutionary design. We test against multiple browsers and platforms, including iOS, and we use Node.js on the server. All videos are DRM-free, available for streaming or download, and all source code is included. The series consists of three main channels. The “Recorded Live” channel focuses on real-world development, warts and all. It’s meant for experienced programmers. If you’re a new developer, the “How To” channel is for you. It’s meant for beginners who have recently learned to program and are ready to start their professional career. The “Lessons Learned” channel provides concise reviews of key topics, such as continuous integration, test-driven development, and build automation. It’s great for review and reference. The series’ final episode was published in April 2018. Although some of the specific tools and language features are out of date, the purpose of the videos is to show the thought process and design approach used in professional Agile development. That material is remains current and is well worth watching. There are over 600 episodes available. Most are about 15 minutes long. Although the majority of the videos are intended for experienced practitioners, there’s about 10 hours of content just for beginners. I have learned so much more than I expected. wish the series wouldn’t end some day.